This blend of Tempranillo (36%), Grenache (25%), Zinfandel (25%), and Petite Sirah (14%) originates from the Lodi appellation in the Central Valley of California. Each variety is fermented separately in oak, and then finished in stainless steel. Thomas Fogarty Winery continues their 30+ year tradition of innovative non-traditional blending with this creation. Fruit bomb! If you ever find yourself saying, “I love blends!,” this is the wine for you. This thing is a bang for your buck fruit monster. This is cherry juice in a bottle with an inky thickness to it. If you are just branching away from sweet whites, this might be a great bottle to break into the reds. This is a people pleaser for your next party or family gathering. Best served on a after the summer sun has set just as you have finished off the whites. Oh, and with friends! 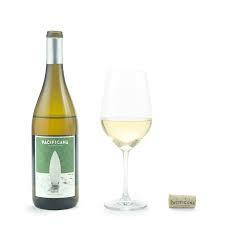 This 100% Chardonnay originates from California. The fruit comes from a variety of coastal climates including Monterey, Central Coast, and Livermore Valley. Fermented for 8 months in French and American Oak. 1% of all sales are donated to “1% For the Planet,” a global network committed to fundraising and bringing awareness to preserving our environment. This is a bang for your buck fantastic Chardonnay. New school meets old school Chard. You get a burst of intense fruit with a hint of butterscotch. You’ll get yellow apple, and lots of pineapple! This wine is best served with a arugula salad with citrus vinaigrette dressing and friends! This 100% Cabernet Sauvignon originates from San Luis Obispo County in Paso Robles, California. 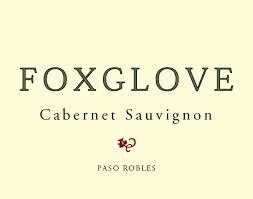 Better known for Chardonnays under the Varner label, Foxglove represents the brother’s expansion into purchased fruit. This is a bang for your buck standout. I would put this wine up against any $30 Cabernet and feel safe to say this wine will not disappoint. If you like fruity Cabs, this is a must try wine for you. When you can’t think of what to open, you’ll find yourself going back to this guy again and again. Best served with pepperoni pizza and good friends. 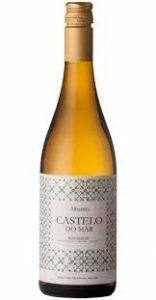 This 100% Albarino originates from the Rias Baixas DO in the Galicia region of Spain. This vineyard spans 18 hectares of 15 year old vines. Grapes are hand harvested and fermented in temperature-controlled stainless steel tanks. This wine does not undergo malolactic fermentation. known for its botanical aromas. Apricot and peach are persistent flavors. Best served with pickled vegetable seafood salad, on the porch with friends! This 100% Cabernet Sauvignon originates from the Wall Wall Valley in Columbia Valley Washington. All together, this wine is a blend from seven vineyards encompassing four different soil types. These include, wind-blown loess- Estate Seven Hills & Summit View, River rock- Yellow Jacket, Stone Valley, Fractured basalt- Estate Ferguson, and Ice-age flood silts- Pepper Bridge, Va Piano.This wine is racked in 100% French oak barrels, (40% new) with five rackings over 22 months. 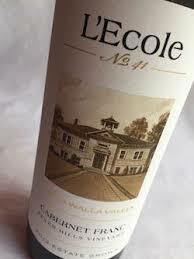 This is a super high end young Cabernet that is perfect right out of the bottle. Think blackberry jam! While this thing is huge, it is not super dry for a Cabernet Sauvignon. It has tremendous depth in its profile. You will pick up hints of cocoa, rose petal, and lots of plum. Wait for it….the finish..a symphony of flavors…harmony in a bottle. Best served with a hearty meat driven pasta dish with your closest and loudest friends! This 100% Pinot Noir originates from the the Sancerre AOC of Loire, France. The vineyards of this portfolio of wines are located near several towns including, Bué, Sancerre, and Crézancy. The winemaker, Gilles Corchet, is committed to making wine as naturally as possible. His process includes using only indigenous yeasts. 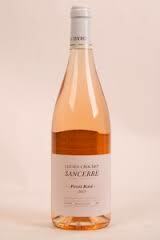 This high end Pinot Rose is a fantastic creation from Lucien Crochet. It is dry, super light, with an overwhelming strawberry profile and citrus lemon finish. This wine could not have come at a better time of year. Best served on a super hot day while sitting on your porch. Enjoy with light fare or no food at all. Oh, and with friends! Flora Springs has the distinction of being home to one of Napa Valley’s original “ghost wineries” – wineries built between 1860 and 1900 but abandoned in the early 20th century due to the triple threat of the vine disease phylloxera, the Great Depression, and of course Prohibition. 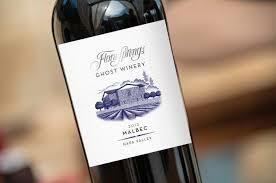 This is 100% malbec from Napa Valley with a produciton of only 460 cases. Very dark garnet in color, this wine smells of blueberry and black cherry. In the mouth, black cherry fruit mixes with blueberry and dark chocolate shavings under a gauzy haze of tannins. Lovely stuff. Restrained and delicious. 14% alcohol. This is a Malbec for both people that adore Malbecs as well for our friends that don’t! Flora Springs strikes again. Great fruit, bold to medium body, soft finish, and the Nirvana Wine Club stole what was left of the release straight from the winery, which is why it is now sold out. Best served with ribs and friends!